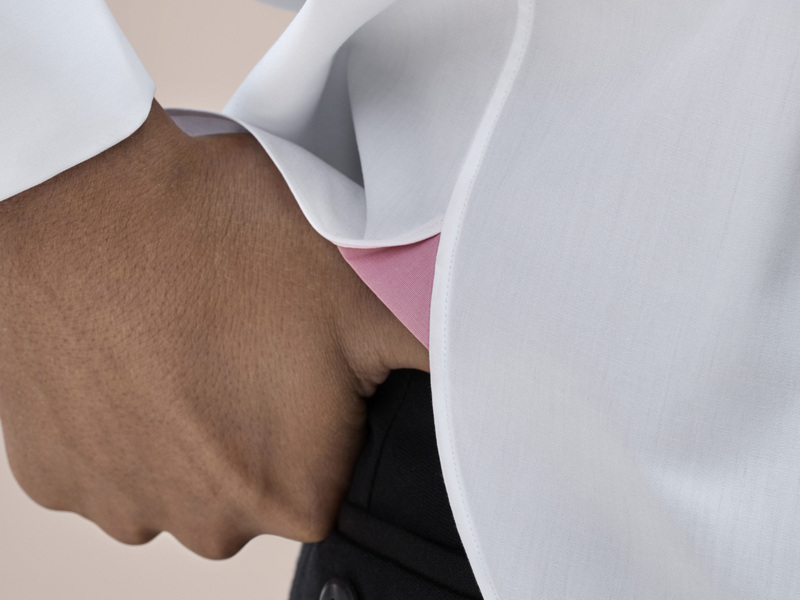 Founded in 1984 in London, Pink shirts defined a new confidence in masculine dressing. Drawing inspiration from the spirit of our founding principles, Pink today champions the traditions of English shirtmaking in the 21st century, creating shirts that are built to the best and most enduring standards. Pink have reaffirmed their identity while remaining faithful to its founding spirit. Guided by CEO Christopher Zanardi-Landi – the driving force behind the renaissance of the brand – alongside the new creative director John Ray, the design studios have been assembled from scratch, paring the company back to its founding principles; to create shirts of excellence, built to the best and most enduring standards. There are numerous material factors which distinguish the superiority of a Pink shirt from the best quality yarns and rich constructions along with its trademark soft finishing. Ultimately, it’s the personal experience of owning and wearing a Pink shirt that distinguishes it, from the sensation of wearing it to the familiarity of its place at the heart of the male wardrobe. Pink believes in making shirts that are built to last and are committed to the traditions of English shirtmaking in every stage of the design process, from the choice of specific cotton to the durability of the seams. Pink subscribes to the belief that a well-made shirt is an investment: an exquisitely made staple that is reliable, versatile, and one that should serve its owner beautifully for many years.